You can make Minecraft sport and compete against your friends. Sports Mod 1.7.10 is a mod that adds new objects with which we practice four sports such as soccer, basketball, tennis and baseball. For each sport you will need certain objects such as balls, baskets, baseball bats, rackets or gloves. This mod can be playied in single player, using dispensers and launchers tennis balls and baseball. But also in multiplayer games and competitions with our friends. Within the Minecraft options menu, we can change the configuration of some aspects of this mod and customize the function keys from the Minecraft menu Controls. 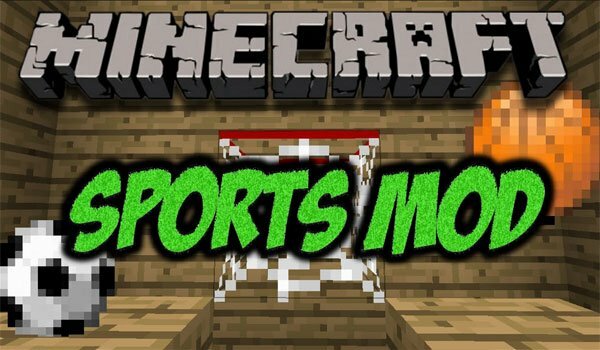 How to install Sports Mod for Minecraft 1.7.10? Double click the downloaded file to run Forge installer . Start enjoying tennis, football, basketball and baseball in Minecraft! The balls in this mod are… Circles! I can’t believe there are circles in this mod. It is against the rules of Minecraft.